From the author of the James Maxted series, "a plot worthy of Wilkie Collins" unfolds as an Englishman struggles to maintain his sanity and his marriage (Kirkus Reviews). 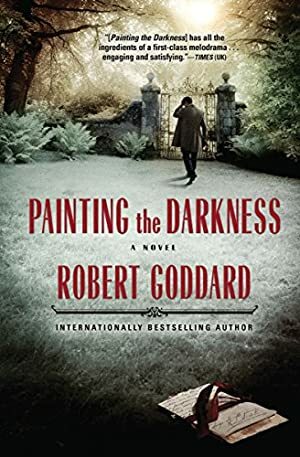 Robert Goddard's international bestselling third novel is a masterful exercise in suspense set in Victorian-era England. On a mild autumn afternoon in 1882, thirty-four-year-old husband and father William Trenchard sits quietly at home when the creak of the garden gate announces the arrival of a mysterious visitor. The stranger claims he is Sir James Davenall, the former fiancé of Trenchard's wife, Constance. He was thought to have committed suicide eleven years ago. Although Constance remembers him, Davenall's family refuses to recognize him as one of their own. Forced into an uneasy alliance with the stranger, Trenchard struggles to hold on to his wife and his sanity until the dark secrets of the Davenall family can finally be brought to light. Log In to track Robert Goddard on eReaderIQ. to be notified each time the price drops on any book by Robert Goddard. to stop tracking Robert Goddard. We started tracking this book on May 21, 2015. The price of this book has changed 48 times in the past 1,429 days. This lowest price this book has been offered at in the past 90 days is $1.20. The lowest price to date was $0.99 last reached on January 1, 2019. The highest price to date was $12.30 last reached on May 8, 2018. This book has been $12.30 one time since we started tracking it.